Each week at the Praise Services we gather to celebrate the grace, freedom, and joy we have in Christ. We are learning to be authentic, enthusiastic worshipers who love God wholeheartedly and love others unconditionally. At the heart of our vision is the desire to reach out to a hurting world. We want to see the lives of people transformed and help them become fully devoted followers of Jesus. Our mission is to create unforgettable worship moments where people might have an undeniable encounter with God. It is our prayer that through the music and worship you will be able to sense that God loves you, is for you, and is near to you. We want to invite you to stop in and worship with us. We hope you will join us for a weekend service in the near future! Each week at Bethany Lutheran’s Divine Services we gather to receive grace and freedom from Christ. We confess that apart from this grace we are lovers of ourselves and totally bound by sin. It is preached against our sinful selves however, at these Divine Services, that God loves us unconditionally even though we are and remain incapable of doing that for Him and for others. The Father gave the Son a mission and a vision. Jesus totally transformed himself and took on human flesh to be our servant. His mission was to give his body and blood on the cross to cancel out our sin in this incredible encounter with fallen humanity. And he still gives out his body and blood today. It is our prayer that you will enter into this Divine Service from God here at Bethany, alongside us sinners and receive these gifts from Jesus. HA!! Well done, Pr. Rossow! It amazes me that these two congregations both wear the mantle of LCMS (or Lutheran, for that matter) but such is the state of the synod. God bless you for holding the line, and keeping the lights on in the house of Augsburg. Change active voice to passive: “… we ARE gathered to” etc. Small Cat. 3rd Art. Expl. “I cannot by my own reason or strength believe … or come to Him. But The Holy Ghost … calls, gathers and enlightens The whole Christian Church on earth “. The corrupt theology proclaimed and confessed at this congregation has had a seriously deleterious affect on the pastor and members of the congregation I attend in the Rocky Mountain District. A little leaven leavens the whole lump. We are now watching the dough rise. Soon we will be the Lutheran Church of the Milktoast Synod. What is interesting about the Church from the Rocky Mountain District is its statement is all law. 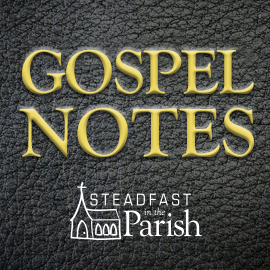 “We are learning to be…” and “help them become fully devoted followers of Jesus.” Nothing about what Jesus has done, but rather how the experience of God through music and worship will have you know God loves you. This can only work for a short time. What happens when trouble hits a persons life, from sickness, death, marriage and family problems? Emotion will fail, the law will condemn them for the troubles they have and they will doubt God’s love. Leaving them open to falling away from Jesus. Also we need to remember modern evangelicalism, which is what the Rocky Mountian District church is promoting, gives lip service to justification by faith and emphasizes living a life worthy of Jesus. Pastor Rossow reminds us with his statement our life in the church is about what Jesus has done for us sinners. Effectively makes the point. Thanks Pastor Rossow. Here’s another slogan from a LCMS mission – ‘Follow Christ – Do Good’. It’s all law. Again, nothing about what Christ has done for us, but what we can do for Him. In his book, Trade With Passion and Purpose: Spiritual, Psychological and Philosophical Keys to Becoming a Top Trader (pp. 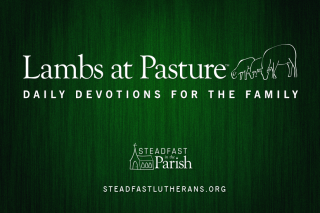 65-6), Mark Whistler presents an interview about an approach to forgiveness with the LCMS Rocky Mountain District pastor of the church that had the PR Statement under its Praise Services. It’s not clear if the PR Statement was written by the pastor or by the Director of Worship, who is not on the LCMS roster, but is one of the WorshipLeadingCoaches dot Com hand-selected coaches who has been the guest worship leader on four of Integrity’s Hosanna! Music live worship recordings, conducted worship seminars and conferences with Integrity Music’s Worship International team, and created several CD projects and helpful tools for church worship teams with the company, WholeHearted Worship. I’ve said before that the message of all confessional churches ought to be the same: Christ crucified, Christ risen, Christ coming again. Period. What is truly sad is the beliefs of this congregation and pastor seems to have received the “OK” from the Rocky Mountain District. This anti-confessional statement has been seen and heard in the English, Atlantic, Eastern, New England and Florida Districts as well. I just attended a congregation in Florida, while on vacation, where the pastor stood up before the service and said, “you all are welcome to join us as we study Rick Warren’s book..” And went on ranting how great this book is. Yup, a LCMS church in action. Nothing wrong with Law…we do good because we are in Christ. There is no Salvation in the good, but we do it none the less. What are their “other slogans”? Yes, you are correct that as Matthias Loy’s hymn says, ‘The Law of God Is Good and Wise’, LSB 579. However, IMO it shouldn’t be the main ‘slogan’ of the website. Yes, yes…I understand. Here is why I said it, and I know you saw through me. You need the total package to understand the Church and what they say. Perhaps they have multiple slogans, etc. In fact, I could rewrite both. But we all could have many different slogans. In fact, take away “Praise” and the first is not that bad. It takes a little digging…example, maybe they are digging into the catechism to become “better members”, etc. I prefer simple slogans, especially those having more than one meaning and both are good. Here is one of my personal favorites; “Following Jesus in all things.” You could add to that “on the inside and outside” speaking as the corporate body of Christ or from a personal perspective.